SMN report: The video shows aerobatic pilot Melissa Andrzejewski flying under high-wire ace Sketchy Andy Lewis and freestyle motocross legend Jimmy Fitzpatrick in a first of its kind aviation stunt. 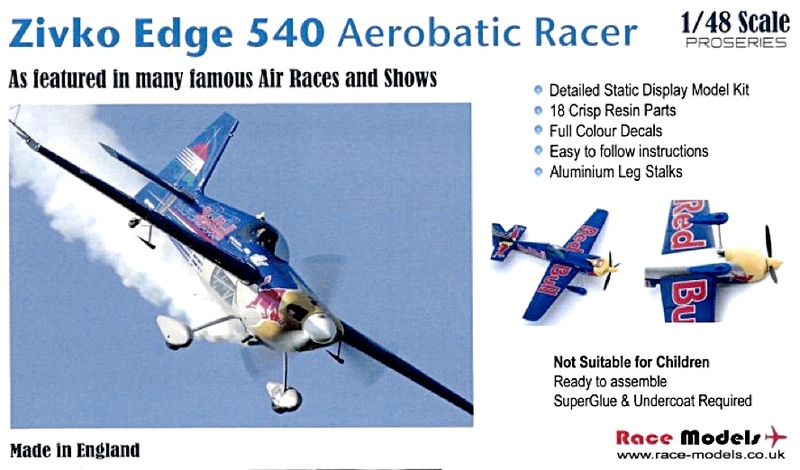 The Edge 540 is a stunt plane-and-a-half, with stats that make the mind boggle - and the stomach ready to do a flip-flop. The single-seater can make 265 mph flat-out using its 400 hp Lycoming engine, and climb at 3700 ft per minute. But it's the roll rate that really boggles - 420 degrees per second! And that makes the Oklahoma-built Zivko Edge 540 ideal for Red Bull air displays, which is where it has become the must-have wings of choice for aerobatic pilots. "Award-winning aerobatic pilot, free fly skydiver and champion rock climber, Melissa brings a high-energy, action-packed display of Unlimited Aerobatics with her Edge 540 Aircraft to audiences world wide. Her dazzling performances have been thrilling audiences all over the globe with gyroscopic maneuvers, tumbles, rolls and everything in between. Her thrilling and entertaining display both amazes and inspires audiences. However a stunt plane is not all that she flies. "Melissa is also an avid skydiver. She is among the best in the world at free flying. She enjoys flying her wingsuit and has over 300 base jumps. "Melissa strives to be a positive role model and inspiration to young people and women across the world, showing them by example that no dream is too big and nothing is impossible!" Blimey! Well, in the calmer world of scale models, there is a detailed diecast available of the Zivko Edge 540 (below) from Diecast Legends. 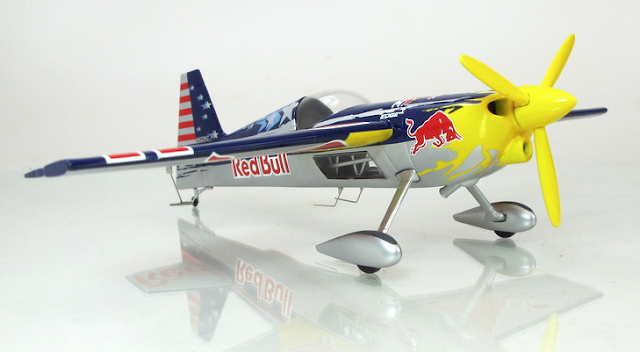 The Red Bull markings are nicely applied, and the model includes such details as transparent fuselage sections under each wing. However, it's a 1:43 scale production, which is fine in a collection of diecast vehicles to this standard scale, but not so good if you want the Edge to feature in a plastic kit collection. For this, it really needs to be 1:48 scale. 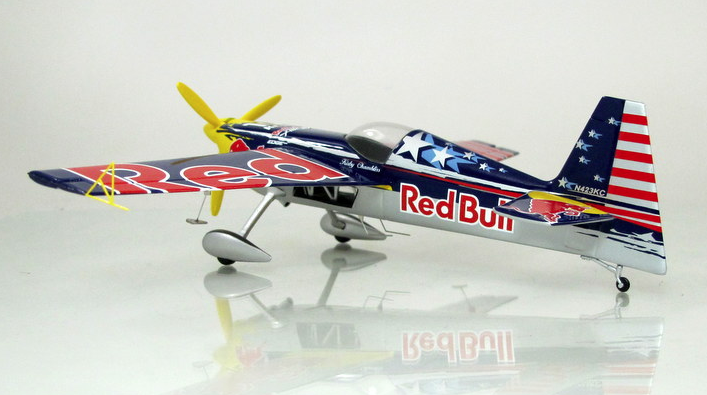 So how about a model kit of this leading stunt aircraft? There's supposed to be one available, as this recent modelling forum post makes clear. 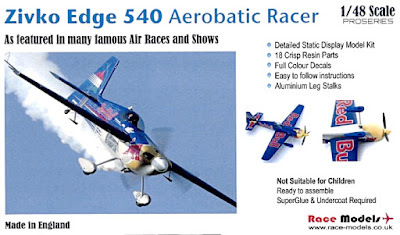 "Here's a brand new kit of the Zivko Edge 540 aerobatic racer in 1/48! The aircraft features in many famous air races including the Red Bull World Series Air Race! It's the only static model kit of the aircraft on the market! "Aerobatic racers have been neglected by the big boys of the modelling world. Nice to see a small company adding to our aircraft hangers! Aerobatic aircraft are some of the ONLY actual aircraft we mortals get to see!!" However, when we searched for the kit (above) the 'Race Models' website wouldn't open. So, it looks like the radio control world (RC) is where the action's at, as the Edge 540 is a popular type for RC fans, and is widely available. But it's a pity that the established model kit manufacturers seem to ignore smaller aircraft, with stunt planes and classics from the inter-war period coming top of the 'not made here' list.